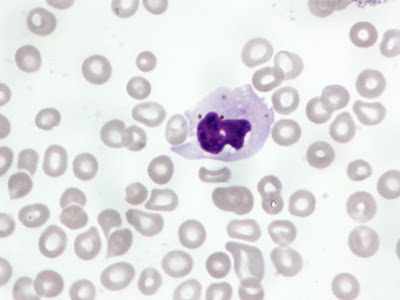 This week's case involves a young girl who recently was treated for malaria. This image is a Giemsa-stained peripheral blood smear. What is the material inside the white blood cells?